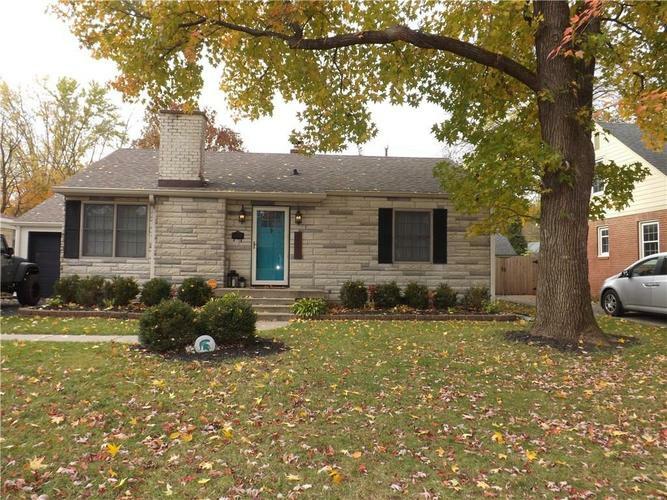 Updated, well-maintained 2 bedroom Broad Ripple bungalow with fresh paint, modern stylish decor, large living room and bonus room in basement. Recent updates include bathrooms, kitchen and basement. Ample space to entertain off back of house with a fully fenced yard and glass enclosed sun room. Don't forget, only walking distance to White River and Freidmann Park walking trail. Directions:From North Meridian turn West on Kessler, then immediate North on Garver. Home is on the left.